Size: approx. 20 mm. Photo: 08/04/12, 11 pm. Wood Roaches have twelve species in our area and only males can be further identified by dissection since the characteristic features are covered by the wings. The bugguide states that "indoors, they wander aimlessly during the day (rather than congregating in a particular room and being active at night), do not breed, and will die within a few days due to insufficient moisture." Parcoblatta divisa (Southern Wood Cockroach). Size: approx. 15 mm. Photo: 06/07/16, 7 pm. 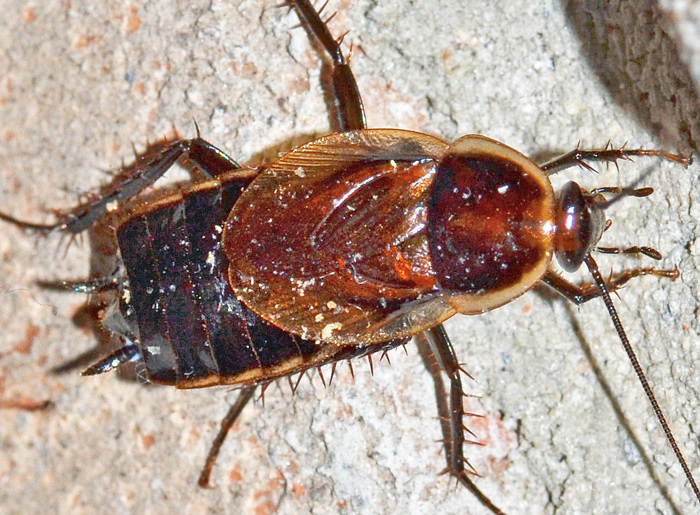 The Souter Wood Cockroach has been found in diverse habitats including dry pine lands, oak scrub, and moist hammocks. 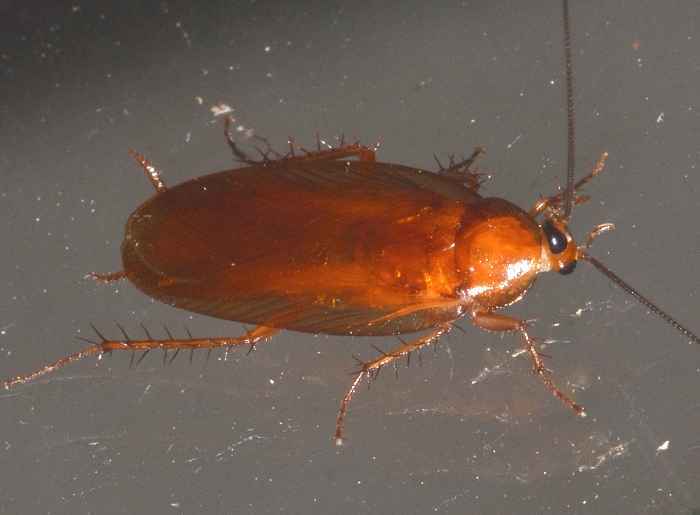 They are very similar to the Pennsylvania Wood Cockroach (P. pennsylvanica) and for a long time were considered a subspecies.